Indoor outdoor living with Fantastic Ocean views from this spacious 2 bed/ 2 bath ground floor private condo! Enjoy early morning walks or a relaxing dip in the pool. This unit has been completely remodeled from top to bottom, all new windows and double pane sliding doors provide for extra insulation to keep the heat out and the cool air in. Sit back on the open lanai perfect for catching the afternoon tropical breezes and winter whale watching. Bright and airy newly remodeled kitchen. Master bedroom has private lanai that steps out to a relaxing open lawn with beautiful tropical flowers. Tastefully decorated providing everything you will need for a comfortable and luxury stay. This spacious and peaceful 2 bedroom 2 bath condominium home sits in the heart of the friendly Wailea Ekolu Village complex bordering the famed Wailea Blue Golf Course. It features gorgeous ocean and tropical views, beautiful sunsets and winter whale watching. With custom bamboo cabinets, granite counters throughout and designer furnishing to put you in the island frame of mind, we know you'll love your stay in #703! Wailea is considered one of Hawaii's premier vacation destinations and is home to several five star resorts, championship golf courses, world class beaches, renowned shopping and dining opportunities. People love the gorgeous sunny south shore Wailea location as this part of Maui receives less rain and wind than other parts of the island. Unlike other crowded resort areas, Wailea was developed as a low density resort within a lush tropical setting. We love it here, and believe you will too! Our unit is located near the pool for easy fun, and affords a truly peaceful and relaxing vacation experience. We are just a short walk away from world class shopping and dining at the renowned Shops of Wailea, and less than 5 minutes from some of the top rated beaches in the world. ​The proud owners of #703 were drawn to Maui for its beauty, variety and sunshine! No other island has what Maui can offer. 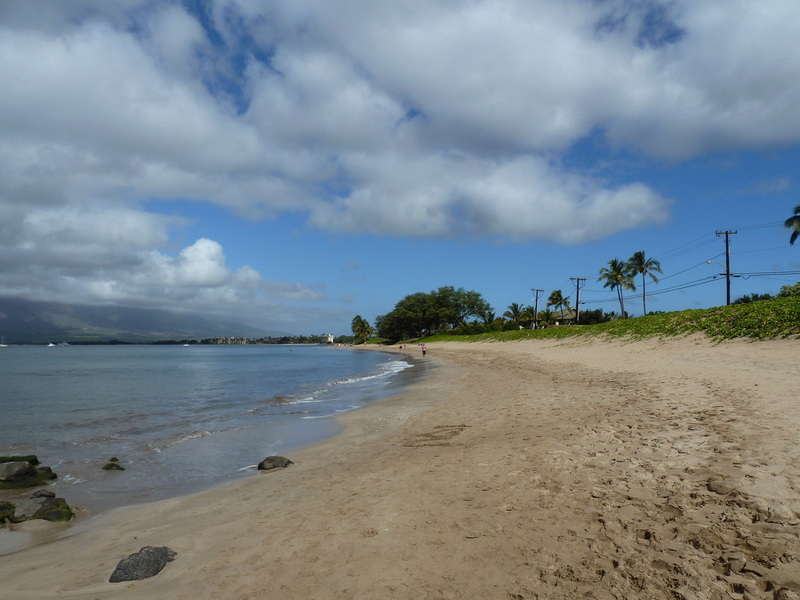 Enjoy a beautiful walk on the beach, swim in the crystal clear waters where snorkeling spots abound, play a game of golf in one of the most beautiful places on earth, or stroll Maui's numerous art galleries and enjoy unique island restaurants! Why not recharge your battery or rekindle your passion in this truly magical setting, you deserve it. This condo comes equipped with FREE WIFI!! ​Just bring your laptop or tablet and connect via our high-speed WIFI connection!